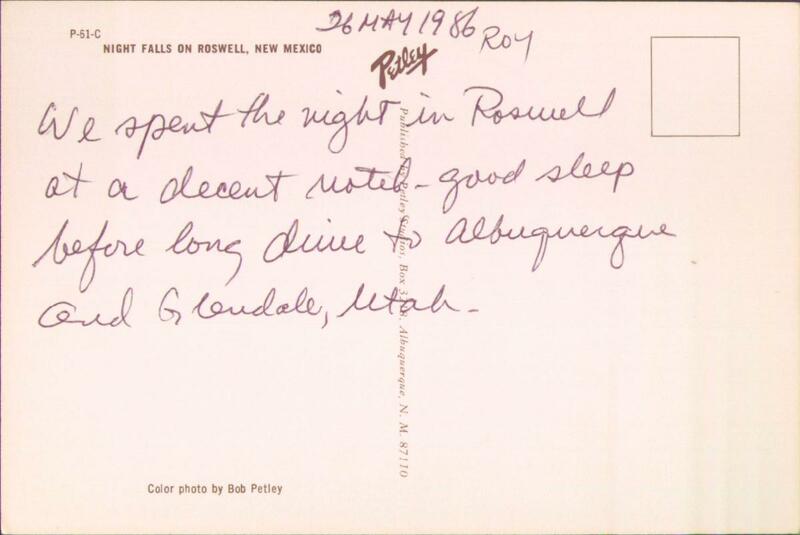 We spent the night in Roswell at a decent motel - good sleep before long drive to Albuquerque and Glendale, Utah. The nighttime shot really livens up the stereotypical view down the main street of a small town. 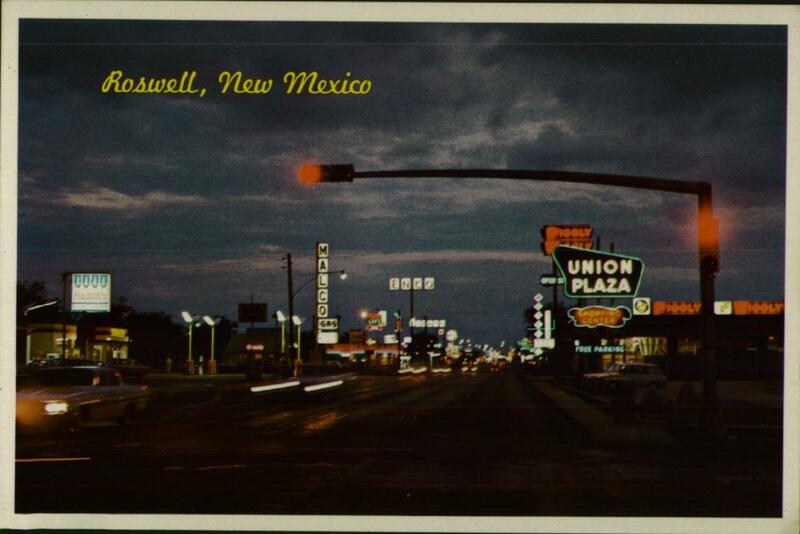 This was about ten years before Roswell started cashing in on the UFO crash thing.